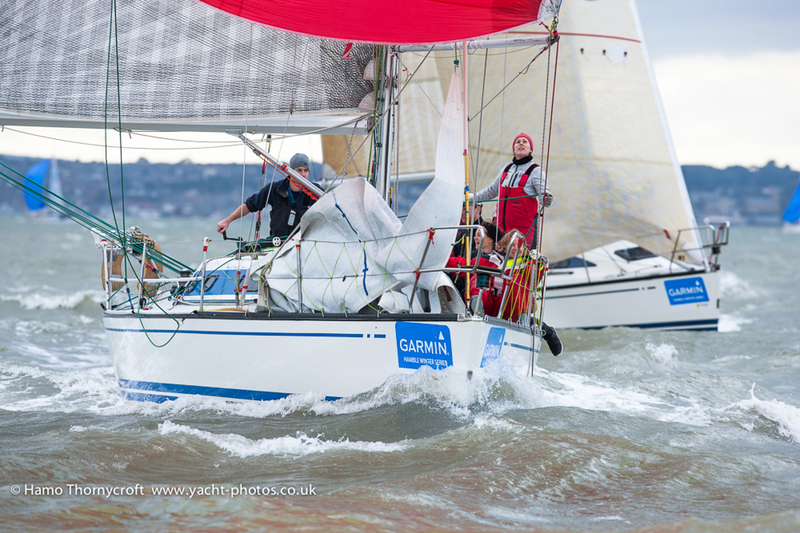 We might already be at the end of October, but competitors were treated to some cracking sailing in unseasonably warm weather as the Garmin Hamble Winter Series reached its halfway point and the clocks went back this weekend. After a bruising race last week this weekend's forecast provided some relief, predicting a gusty 10-18 knots of breeze from just south of Southwest. That's exactly what crews found out in the busy central Solent, where gusts and shifts, as well as the presence of nearly 100 boats and a stonking tide meant that big gains were there for the taking by those who kept their eyes peeled and out of their boats. 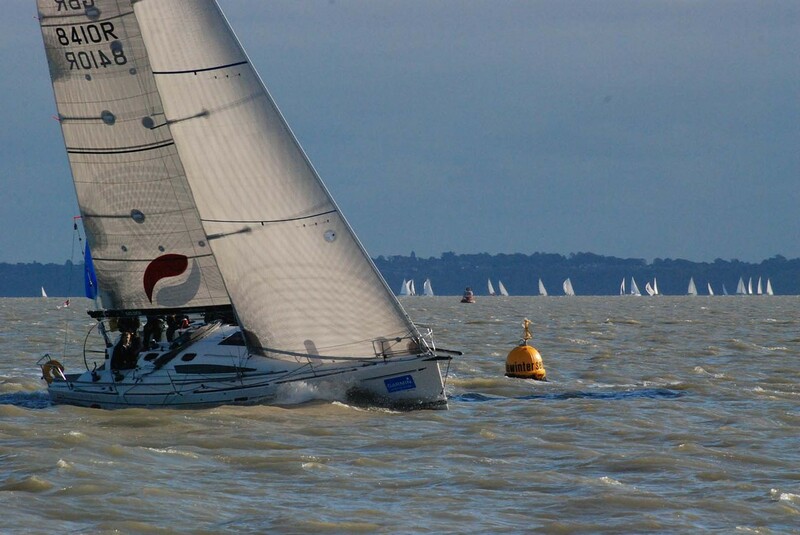 From a startline near Royal Southern buoy, the race team set a series of windward-leeward and triangle courses. Two races were sailed by all classes. IRC 0 saw a tussle between Martin Dent's J/111 JElvis and Peter Rutter's Grand Soleil 43 Quokka 8, who scored a 1st and 2nd each. 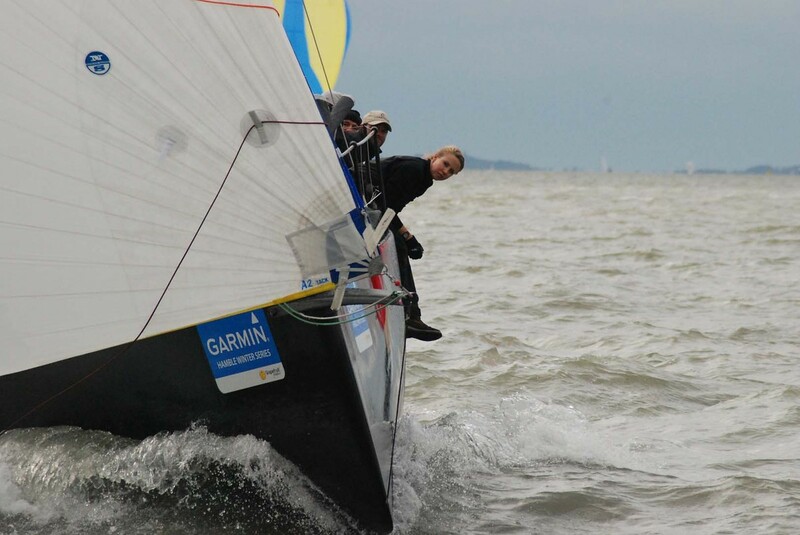 Louise Makin's J/111 Journeymaker II sailed a consistent day to take two 3rds. 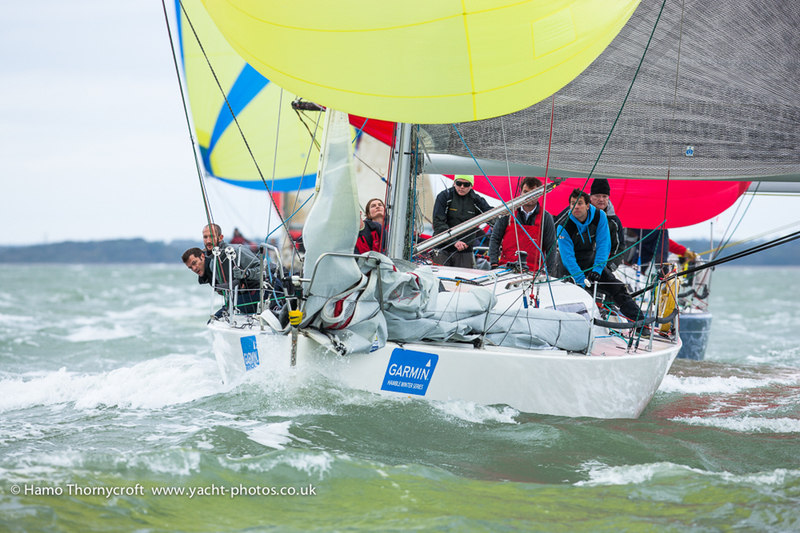 JElvis is winning the class by four points after four weekends of racing. IRC 1 saw Bernard Olesinski's dominant X-40 Xinska added to their near-perfect scoreline with another two first places, finishing ahead of Tim Octon's Doyle Sails and Stuart Wilkie's Puma to sit atop the leaderboard at this stage. Mike Bridges' Elan 37 Elaine and Richard Searle's JPK 1010 Pincer Movement took a race apiece in IRC 2, finishing ahead of Robbie and Lis Robinson's Hot Rats. Pincer Movement heads IRC 2 overall at the halfway point in the series. IRC 3 saw some good results for the J/97s in the class, as Charles Ivill's ETB Tyres Just Like That took two firsts, with fellow J/97 Blackjack II taking two seconds. Projection 920 Wee Bear took two thirds. 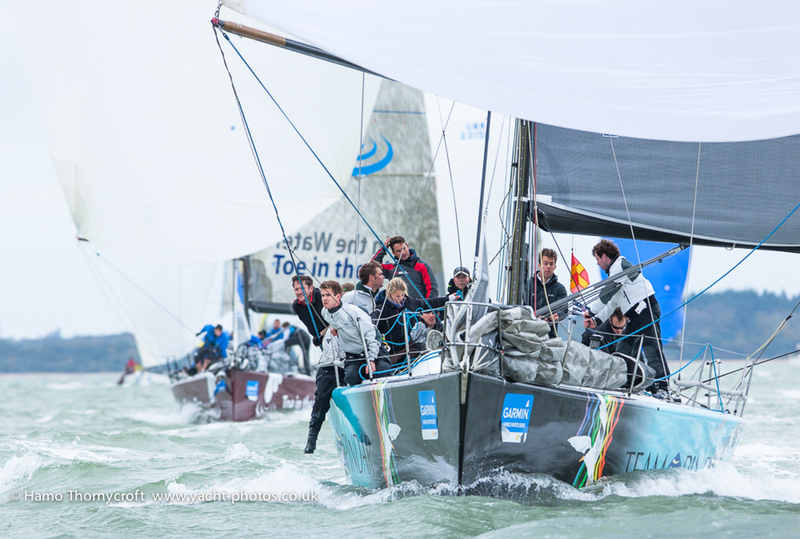 These three boats make up the podium as the series enters its second half in a fortnight. 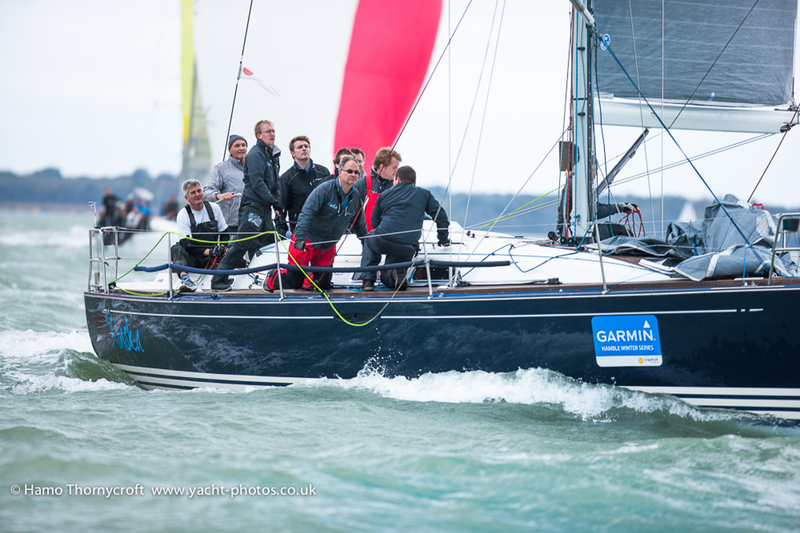 Toby Gorman's Sigma 33 Stan the Boat continued her run of form, taking a 2nd and a 1st to sit atop the IRC 4 class at the halfway stage in the series. She took second in the first race and first place in the second, with Jim Webb's quarter tonner Flashheart winning the first race. Stan sits ahead of Richard and Ursula Hollis' X-95 Crakajax in second place and Impala 28 Polly in third place overall. 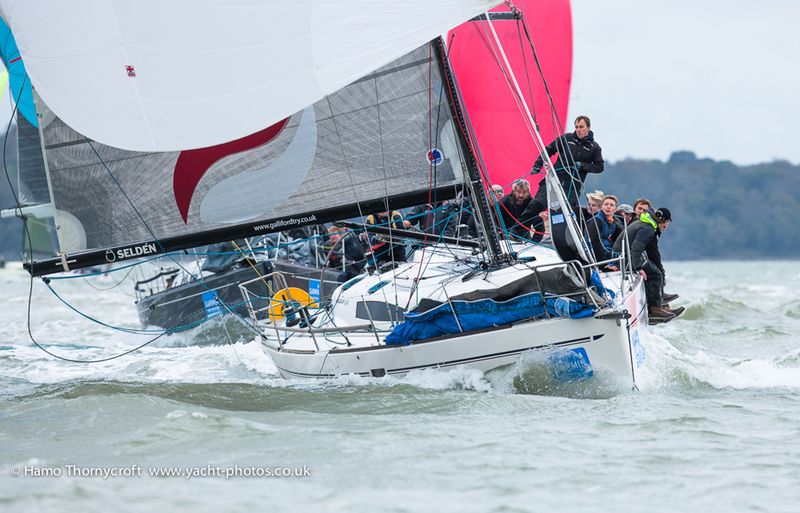 The Impala class, racing in IRC 4, was the day sponsor this week, to celebrate the class's 35th anniversary and the recent resurgence in the one-design fleet which has 7 boats racing in the winter series and a further 3 boats joining the Hamble fleet next year. The Meakins and Cudmores on Polly were first Impala, with Olly Love and Sam Flint's Two Frank taking two seconds, and Barney Smith's Imptish and Olly Bewes and George Beevor on Magic taking a third and a fourth place each. They are equal on points with Magic edging ahead on countback at this halfway stage. Adrian Wheal's Jolly Jack Tar won the J/109s' first race, with Owain Franks' Jynnan Tonnyx taking the second race by just over a minute. 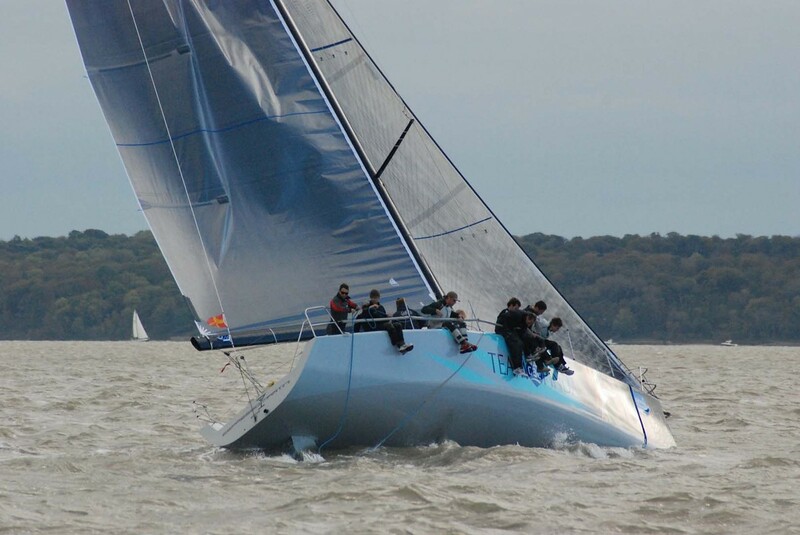 In the Sigma 38s, John and Susan Rainger on Light won the first race, breaking Nigel Goodhew and crew Persephone's streak of firsts, but Persephone fought back in the second race to take the race by just 18 seconds. Sponsors Garmin have provided a VIRB action camera for competitors to record their racing. The video below shows Wee Bear (IRC 3) in action in IRC 3. The camera is available to borrow from the club office. 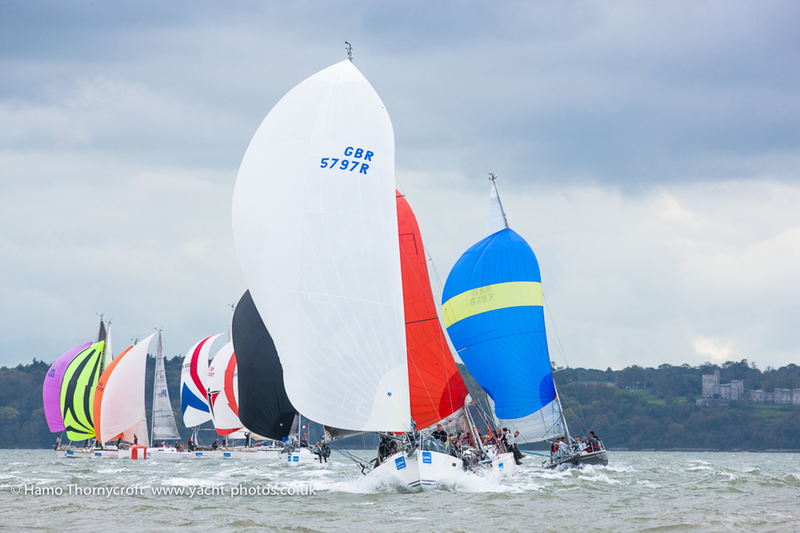 This weekend also hosted the final MDL Hamble Big Boats Championships weekend. 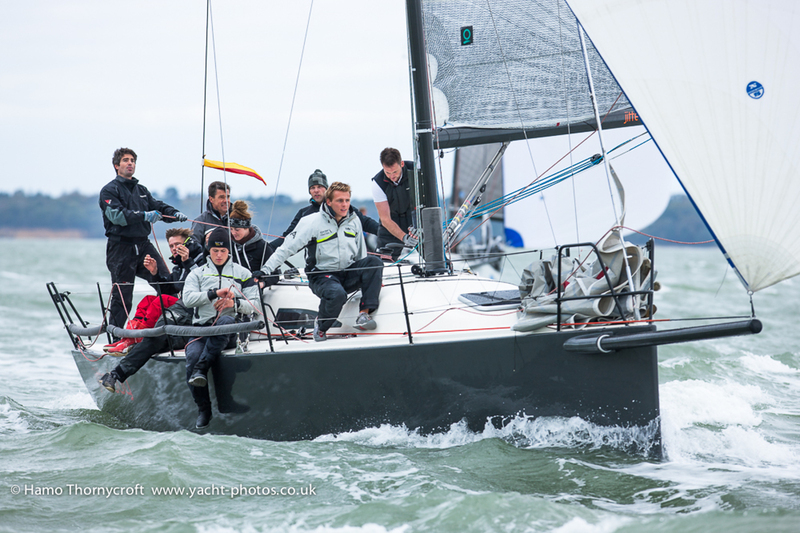 Featuring racing for IRC 0, IRC 1, Farr 45 and J/111, both days delivered some close racing for the assembled fleet which attracted some of the most impressive new boats and top crews to the Solent. 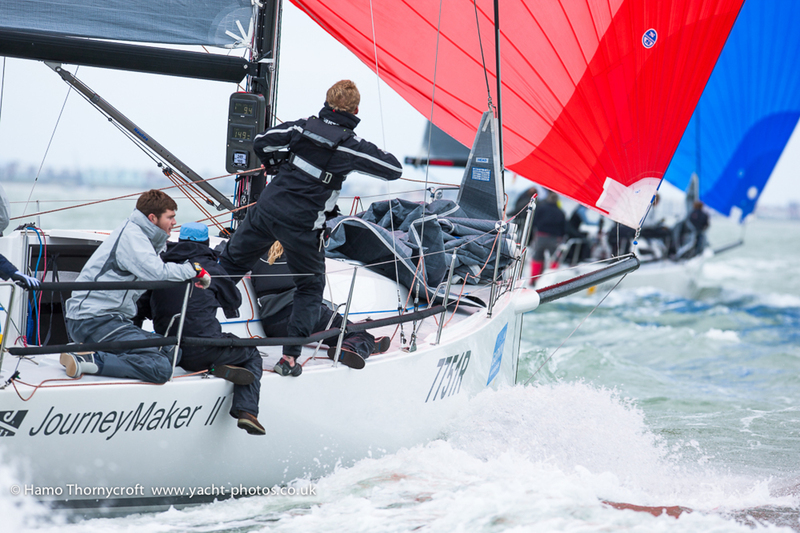 IRC 0 was won by Michael Bartholomew's GP42 Tokoloshe II, despite some confusion in the first race on Sunday which saw her and two other boats sail the wrong course. Nonetheless, she put in an impressive performance to win the class by 14 points after two weekends' racing. Cornel Riklin's J/111 Jitterbug was second, and also won the J/111 class. Jeffrey Blue's Farr 45 Espresso Martini was third. Espresso Martini also won the Farr 45s, ahead of the British Keelboat Academy on Kolga and Lloyd Hamilton's Toe in the Water Too. 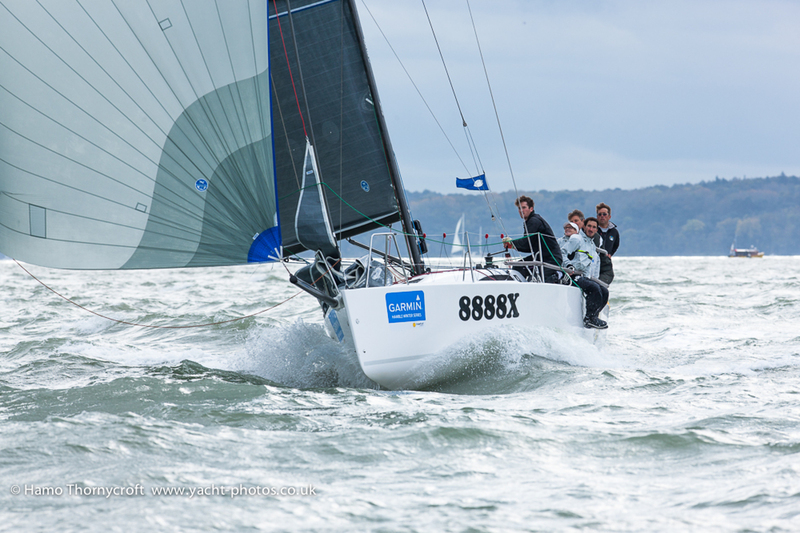 Bernard Olesinski's Xinska carried her success in the Garmin Hamble Winter Series over to the MDL Big Boat Championships, winning the class by four points from Jim Macgregor's Premier Flair. 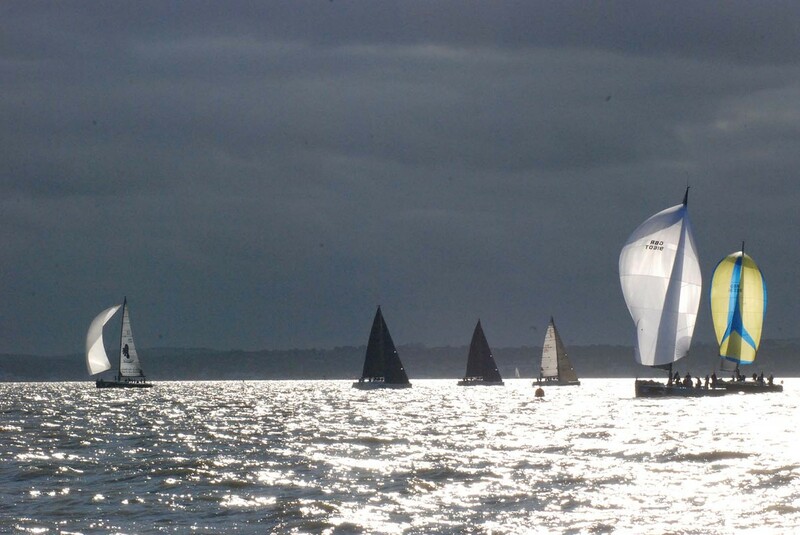 That's the MDL Big Boat Championships over for another year, but the Garmin Hamble Winter Series continues on 9th November with one race a day. Next weekend, 1/2 November, is a break weekend. Skippers and crews applauded their thanks to the race team and an army of over 70 volunteers who make the racing happen at a packed prizegiving in the HRSC clubhouse. See you in a fortnight!